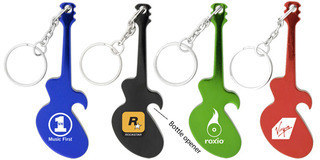 An aluminium metal keychain bottle openerin the shape of a guitar. Price includes laser engraving. Printing will fade over time.